Maintained by the Amnesty International Secretariat in London, the Amnesty International library contains an archive of its publications, including most annual reports, press releases, urgent actions, and country reports. The full-text versions of the documents, published from 1996 to date, are available in English, French, Spanish and Arabic and may be searched through several options: by country, region, sub-region or theme. This online directory contains also a great variety of links to selected human rights related websites around the world, searchable by country or theme. 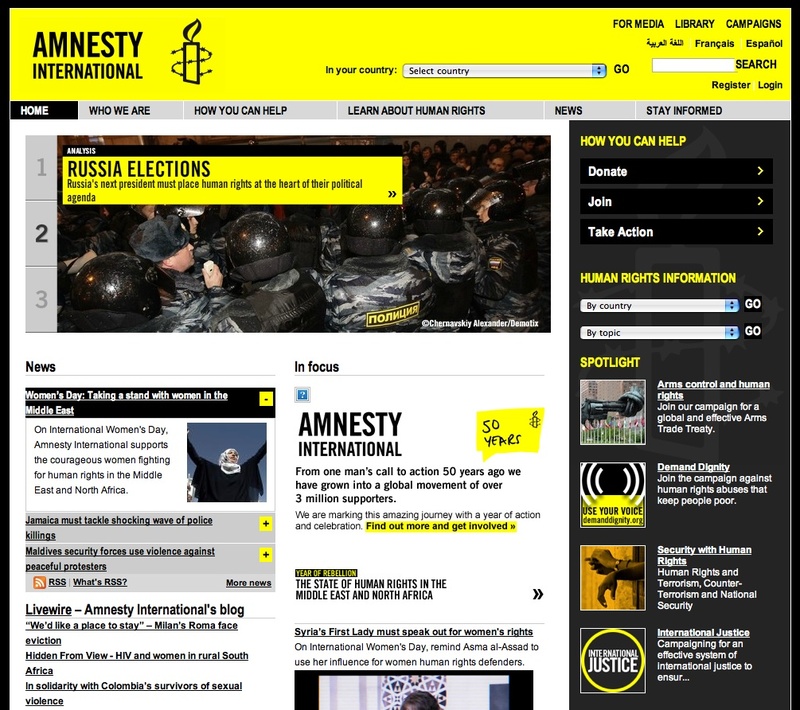 Aiming clearly at a vast audience worldwide, the Amnesty International online library is focused on a simple design structure and an intuitive navigational pattern – also providing users with free of charge access to the whole material.